As we hinted a few weeks ago, Toyota is set to expand the Prius family with the launch of the new Prius+. Making its debut at the 2011 Geneva motor show, Prius+ is the first full hybrid model in Europe to offer seven seats, combining family friendly versatility with strong environmental performance and advanced technology. 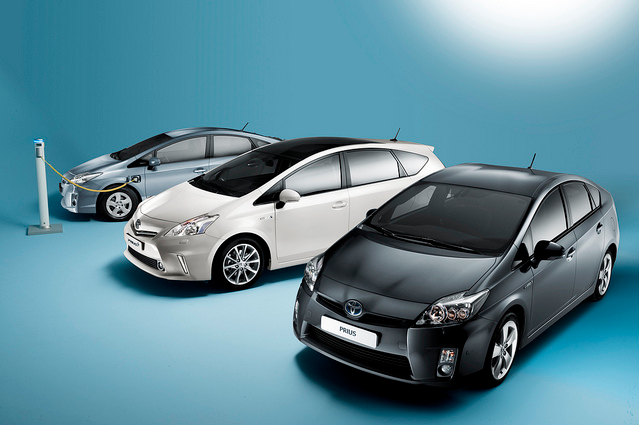 Compared to 3rd-generation Prius, Prius+ provides a significant increase in space and passenger accommodation. This includes three independent, split-folding second row seats and a 50:50 split-folding third row. In spite of the increase in size, it retains the fundamental performance benefits associated with Prius, including the lowest fuel consumption of any seven-seater on the market. The full hybrid MPV features a fixed integrated panoramic sunroof, the familiar Prius triangular silhouette, sharp-edged headlamps, flat, vertical ‘aero’ corners that reduce air turbulence, and an enlarged lower grille to improve aerodynamics and engine cooling. The rear of the car incorporates a top-hinged tailgate, intricate lamp clusters and a roof spoiler that further manages smooth airflow. 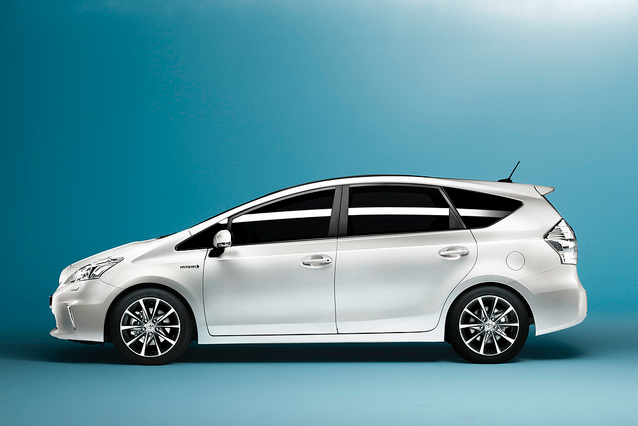 Overall, Prius+ has a Cd 0.29 drag coefficient. Prius+ is equipped with the latest generation of Toyota’s Hybrid Synergy Drive and is the first Toyota non-plug-in hybrid to use a lithium-ion battery pack. The compact dimensions of this battery – first introduced in Prius Plug-in (PHV) – allow it to be contained entirely beneath the second row seats, which means passenger and loadspace are unaffected. As in the current Prius, Prius+ features three ‘on-demand’ drive modes so that capabilities of the hybrid powertrain can be fully exploited. EV mode allows the car to be driven on electric motor power alone, resulting in zero fuel consumption and tailpipe emissions; ECO mode maximises hybrid system efficiency and fuel economy, while POWER mode sharpens response and boosts performance. 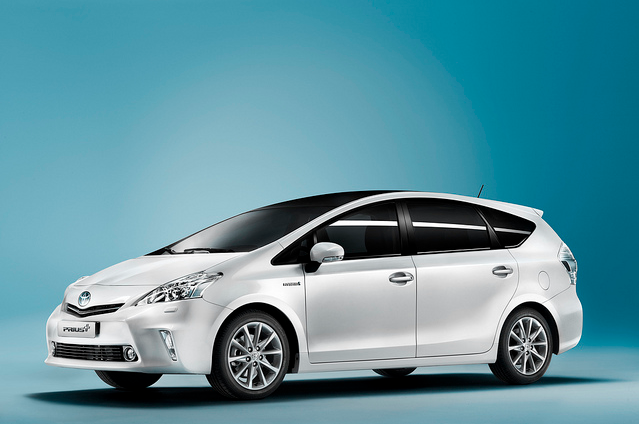 Prius+ is set to go on sale during the first half of 2012, alongside Prius and Prius Plug-in. Click here for more news from the 2011 Geneva motor show. I am verry pleased with my Prius 08 model. I have hadit from new.When I saw new Prius last year was dissapointed. 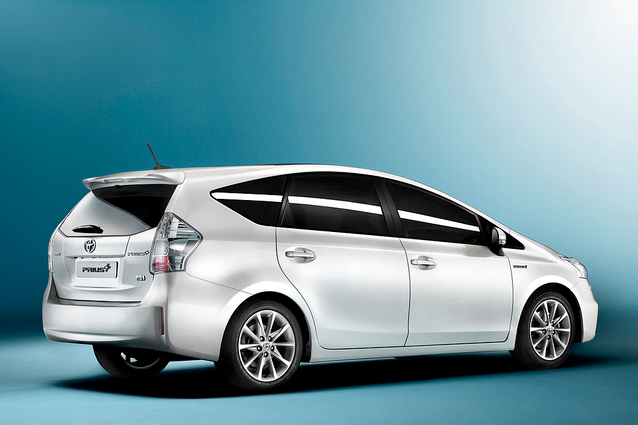 I do not like the centre consule on new models so I would not purchase another Prius untill it is changed. When you look at them on the road everything looks untidy. ‘Should have gone to specsavers’ comes to mind. The new generation Prius is vastly superior to the old in every department. I would not have dreamed of buying the old style car. I have a white T Spirit and apart from some build quality issues inside, it is a superb vehicle. 55K miles in a year and not a foot put wrong. Wow that’s 1 nice looking hybrid, I can’t wait to find out the technical specs for the car. We are looking forward to the Prius +. We would have bought a new Verso 7 seater (especially as the turning circle has now been fixed to an almost reasonable size), however the interior plastics were on a par with some of the plastics used in child comic toys. The door handle was a grey nasty thing that felt and looked aweful. The drive was dull, and boring. So lets hope the Prius+ is the answer. the interiors of which looked more worn in half the time. Oh, and they rattled/squeeked, something my Verso does not do. I couldn’t agree more – my family 56 reg Verso has been unbeatable for all these years. I chose the 2.2 Diesel engine, we cross Europe regularly every summer and I never experienced any problem. I find it a good drive, too, the turbo diesel engine gets you out of sticky situation quickly and seamlessly but it’s economical enough to clock 45mpg with a fully loaded car AND a weighty roof-box on European motorways. I’m more for safely and durability and so far the Verso ticked both boxes. That said, I’m really looking forward to test the Prius 7 seater, hopefully it will better what I now give for granted from a family car.